. إن الخدمات التي يقدمها Middle Park Hotel تضمن للنزلاء إقامة مريحة. يمكن الاستمتاع بمجموعة من الخدمات على أعلى المستويات في الفندق كمثل واي فاي مجاني في جميع الغرف, خدمة التنظيف يوميًا, تسجيل وصول/خروج سريع, واي فاي في المناطق العامة, صف السيارات. استمتع بوسائل الراحة الراقية في الغرف أثناء إقامتك هنا. بعض الغرف تتضمن تلفزيون بشاشة مسطحة, اتصال لاسلكي بشبكة الإنترنت (مجاني), غرف لغير المدخنين, مكيف هواء, تدفئة لمساعدتك على استعادة طاقتك بعد يوم طويل. صممت خدمات الاستجمام في الفندق والتي تتضمن مسار جولف - ضمن 3 كم, حديقة لمساعدتك على الاسترخاء والراحة. اكتشف مزيجاً ساحراً من الخدمة الاحترافية والخيارات الواسعة من وسائل الراحة والمتعة في Middle Park Hotel. Didn't think much when I drove up as it fits in with the period style of the suburb but was pleasantly surprised. Rooms have all been renovated, bathroom has a beautiful big shower with plenty of hot water, sheets and blankets were clean and room very tidy. Got extra towels very quickly after I asked, free breakfast every day and the location is great too with plenty of free on street parking in a quiet side street and tram access. 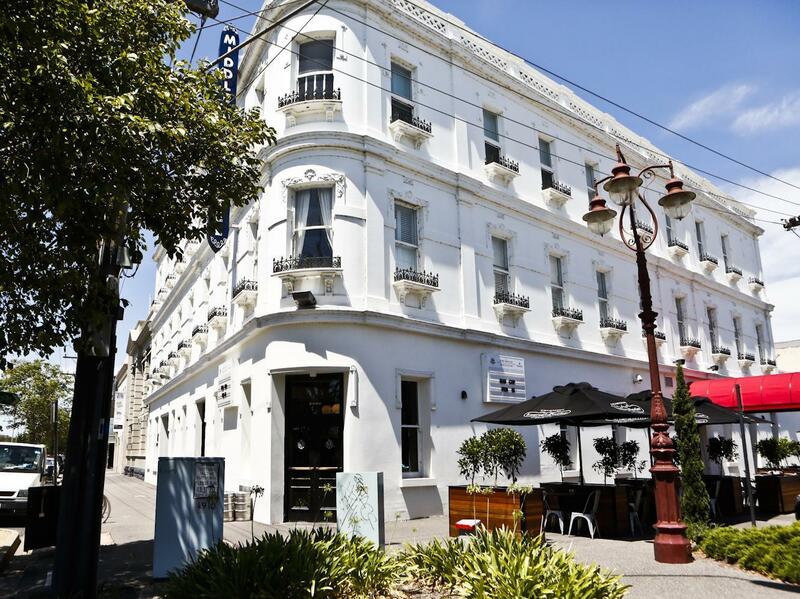 The hotel is accesible to tram station And few minutes away from CBD It doesnt look new but it has vintage designs that looks nice as well The receptionist staff Kaye is very approachable and helpful. Close to the bay. Great older style apartment, amazing luxurious bathroom. clean, very comfy bed. We had a fantastic meal at the restaurant below. Music from the pub a little loud but would definitely stay again. It was very comfortable and clean and centrally located for our purposes and the management is very helpful and it was value for money. of course you need to go up steps as there is no lift so would not recommend to elderly or someone with problems climbing stairs. Staying in this old fashion hotel is an interesting experience. Interior is renovated with contemporary room style however exterior of hotel is still keeping its unique colonial era style. Hotel is minutes away from the beach and tram. We were there during the easter weekend so parking right in front of the hotel is free and available. Plenty of cafes and eating places across the street. Room size is good for myself, my husband and my two year old boy. A good place to explore Melbourne from. Only downside is the flight of stairs so those with luggages have to tug them all the way up. I requested for the lower floor but was given the higher one. Lovely hotel room right smack between a beach, 5 mins away from South Melbourne Market and roughly 10-12 mins drive to Melbourne City Centre. 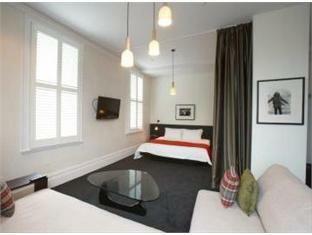 St Kilda and Brighton Beach is just 10 mins drive away from this hotel which is really convenient. Would definitely recommend this place to anyone coming to visit Melbourne. One thing short would just be a lift, but apart from everything. It is lovely. The hotel also reward guest who goes green which is great! Parking is directly in front of hotel and is free too for a certain period of time. No car parking a big negative. Stayed here during the F1 Melbourne Grand Prix and I was fortunate to snap up the last available room and an excellent rate. The staff were professional and informative. The room was great, minimal noise from the street down below, very clean room and a comfy bed. 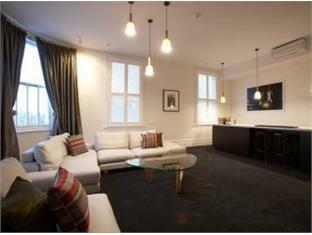 I would recommend Middle Park Hotel and would happily stay there again. 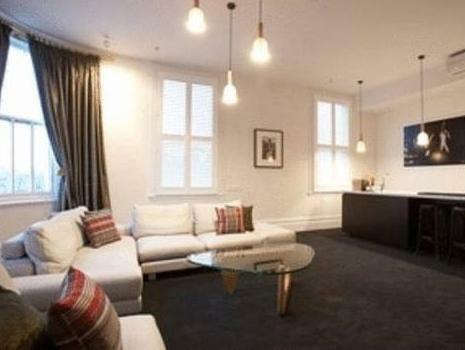 Great Location to access the CBD via tram. Close to Middle Park Beach. Great bar and food-would stay there again. Booked through an external site which stated we would have a bath and presented some misleading pictures, really thrown off by the huge glass panel between the shower and bedroom - no space for privacy. Room was small. We used it for a weekend 'in town' getaway (live in bentleigh) and I would've rather just stayed home. Very quirky room - hard to explain! pub vibe down stairs - great restaurant and breakfast. Had a great stay at the Middle Park Hotel. Lovely old world charm. 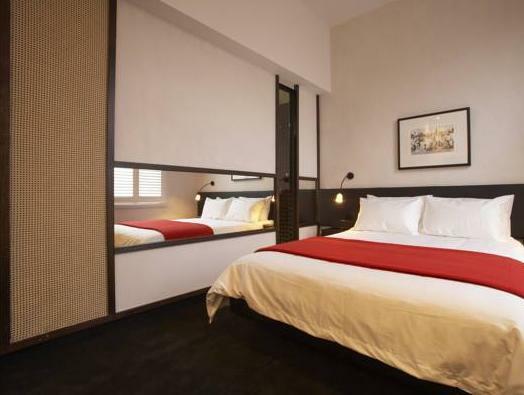 Clean and comfy rooms with updated bathroom facilities. Fantastic cooked breakfast was included in our package, which was wonderful. We were worried that it might be noisy at night being over a pub, but it was not a problem (although we only got back at 11:30pm as we were at a wedding). Loved the room we got which was huge for a double room and very well decorated (i.e. Stylish) It was not in the city center but it was a short tram ride from the CBD and a quick run to St Kilda beaches.